6 Sep 2018 – If you had any lingering doubt that Facebook has become little more than a vehicle for US government censorship and Western propaganda, a recent Washington Post op-ed by Mark Zuckerberg should remove any ambiguity. The military comparisons (“arms race” and “improving our defenses”) are perhaps more apt than Zuckerberg even intended, given that for some of this work, he has chosen to partner up with the Atlantic Council, which operates essentially as a soft-power lobbying wing for NATO, campaigning vociferously on behalf of the US-led military organization and championing its wars and “interventions” across the world. In a roundabout sort of way, Zuckerberg’s op-ed is unintentionally honest, because a huge amount more can be inferred from what he doesn’t say than what he does say. 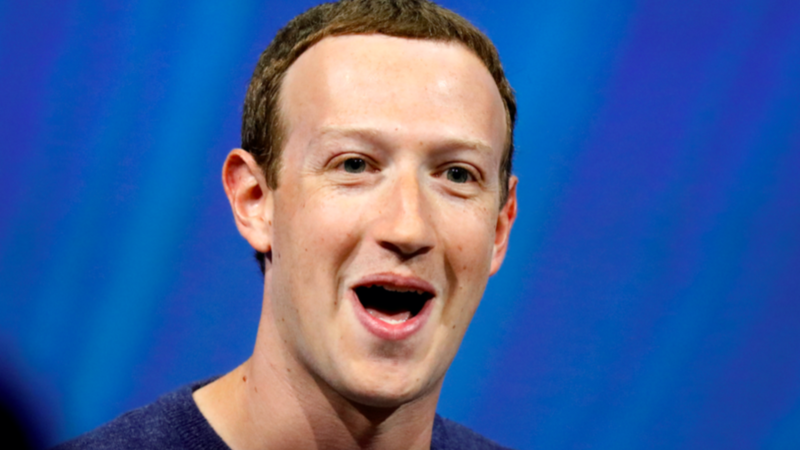 Funnily enough, despite offering a list of actions Facebook has taken against what Zuckerberg calls “bad actors” online, the psyops and social media manipulation orchestrated by Western governments — chiefly, the US, UK and Israeli governments — don’t get so much as a passing mention in his op-ed. This is odd, given his sincere and deep commitment to combating fake news and misinformation. Clearly, the little democracy fairies that whisper orders in his ear every day must have forgotten to mention them. I mean, let’s give the guy a break. It’s a big responsibility to have the fate of democracy resting on your shoulders. But let’s say someone did slip a note onto Zuckerberg’s desk about some really nefarious stuff that’s been going on under his nose for years. What might it say? Well, it might mention a 2011 report in the Guardian newspaper which exposed that the US government was at that time developing a ‘sock puppet’ software program, designed by the US military, to “fake online identities” for the purpose of influencing online conversations and spreading pro-American propaganda. What’s worse, this wasn’t even really a secret. To build its influence campaign, United States Central Command (Centcom) awarded a contract to a California-based company to develop an “online persona management service” allowing one serviceperson to control up to ten different fake identities, which the contract stated must have convincing and believable background stories. But don’t worry, CENTCOM said it was all about combating terrorism, that they were not targeting Facebook or Twitter and they were only trying to fool foreigners who speak languages like “Arabic, Farsi, Urdu and Pashto” — so, no problem then. I mean, if they say it, it must be true. It is also known that the British GCHQ and the NSA in the US operate entire programs dedicated to discrediting adversaries online through sophisticated disinformation campaigns involving fake emails and blog posts. At the beginning of this year, the Israeli Army set up its “Center for Consciousness Operations” which was described by Haaretz as “a new ‘soft power’ psychological warfare unit”. Of course, this was not Israel’s first attempt at manipulating opinion online. The Israeli Army has previously invested in similar programs, with the government announcing in 2013 that it was willing to pay Israeli students to circulate pro-Israeli information online. The IDF is known to be active on 30 platforms including Facebook, Twitter, YouTube and Instagram and operating in six languages. But the centre of “consciousness operations” was part of a new push to “influence the enemy and Western opinion over Israel’s military moves” through social media and other online platforms. Zuckerberg’s mind will be blown when he hears about all this. No doubt he would march straight back to Capitol Hill and demand an immediate explanation. Facebook has steadfastly ignored any evidence that these governments are engaged in massive online influence campaigns because they’re the ‘good’ guys so what they do online doesn’t matter. In fact, it’s worse than that. Facebook not only does not care what these governments do, it actively helps them do it. One recent example was the temporary removal of the Telesur English page on Facebook without explanation. It just so happens that Telesur is one of the only English-language sources of news on Venezuela that offers a perspective which differs from Washington’s view. A coincidence, surely. Then there’s the fact that Facebook has been deleting the accounts of Palestinian activists at the behest of the Israeli government, as the Intercept reported last year. Over one four-month period, Facebook removed 95 percent of the accounts that Tel Aviv demanded to be taken down. It’s important to note that “demanded” is the correct word here, given that Israel threatened Facebook with new laws which would have forced them to comply with deletion orders if they did not do so voluntarily. In his op-ed, Zuckerberg claims (correctly) that social media platforms like Facebook are targeted by “sophisticated, well-funded adversaries” who are getting smarter about covering their tracks. But he simply can’t be taken seriously while ignoring the clear evidence that the very governments and ‘fact checkers’ he is so keen to work with to ‘combat’ disinformation are knee-deep in this exact activity. In reality, we can’t expect Zuckerberg to start caring about any of this. During a Senate Intelligence Committee hearing on Wednesday, Facebook’s Chief Operating Officer Sheryl Sandberg all but confirmed that Facebook willingly acts on behalf of the US government when she assured senators that the platform would never take action to favor a “hostile foreign power” over the US or its military. But Facebook executives are one thing and the media is another. While Western journalists have sought to wrangle as many headlines as possible out of stories about “Russian meddling” online, they have shown curiously little interest in online propaganda campaigns run by their own governments. 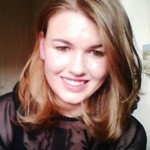 Danielle Ryan is an Irish freelance writer based in Dublin. Her work has appeared in Salon, The Nation, Rethinking Russia, teleSUR, RBTH, The Calvert Journal and others.